I do not even know where to start with this review as series ending books are so hard to talk about without spoiling, so I guess I'll just have to be vague. Unfortunately that tends to lead to a fair amount of incoherent gushing, so bear with me. In true Morganville style, this book takes off with a bang and keeps the action steady throughout. But just like the other installments, there is plenty of emotion and moments of levity in between, which honestly makes the series for me. As I was reading DAYLIGHTERS I couldn't help but to think back to who the characters were when this all began, and honestly I'm amazed at how much they have grown. My first reaction would be to say that it's Claire who's grown the most, but really it's all of them from the Glass House residents even to the vampires, Amalie, Oliver, and of course Myrnin. Honestly this kind of character progression is exactly how it should be done, and I'm so glad I got to experience this. 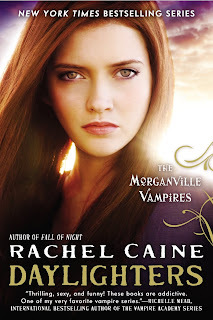 Just when I think Rachel Caine has hit her limit with the intensity of a plot or the evilness of a villain, she completely outdoes herself yet again. Honestly several times throughout DAYLIGHTERS I just had to shake my head in awe at my reaction to what was going on. I mean, you thought the vamps were bad? Psh, they are nothing compared to the Daylight Foundation and the horror that they have turned Morganville into. Sure if Claire and Co had of been willing to hope on the genocide bandwagon things probably would have been a bit easier for them, but as they weren't things got rather hairy more than a few times. I was literally on the edge of my seat the entire time while reading this, and it made for one heck of a read. As far as the ending, well I can honestly say that it was one of the best series enders I have ever read. Seriously, it was perfect, and I wish so much that I could gush all about it, but again to avoid spoilers, I'll refrain. Suffice it to say that it does the journey we have been building to over 15 books more than the justice it deserves, and this reader is one happy camper. While I'm sad to being saying goodbye this much loved series, Rachel Caine gave it the perfect send off and I can't recommend it any higher. 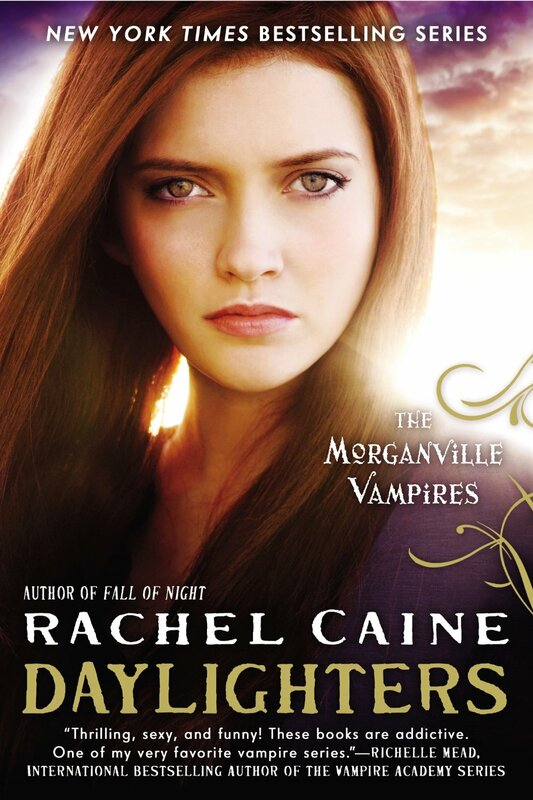 Morganville fans, this is the book you have been waiting for!